Check out the most popular Wilson Model with a loft in Celebrate! 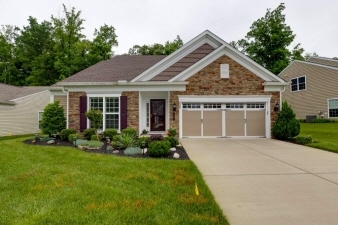 Additional Features and Amenities This 3 bedroom, 3 bathroom home has all of the upgrades! This impeccable interior, in a priceless setting, and on the perfect lot backing to trees, cannot be duplicated today for this price, it truly is a must see! As soon as you step into the foyer you know this home is special, the hardwood floors, crown molding, and wainscoting really make a great first impression. There is a study off the foyer through French doors that is perfect for a home office or formal living space. The heart of this home is the family room, kitchen, and adjacent dining room! What a grand space highlighted by vaulted ceilings. The custom kitchen is dreamy and opens to the dining room and family room with a large peninsula, the perfect spot for lunch or a snack. The 42 inch wooden cabinets, solid surface granite countertops, recessed lighting, and stainless steel appliances make for the cook of the home's dream kitchen.